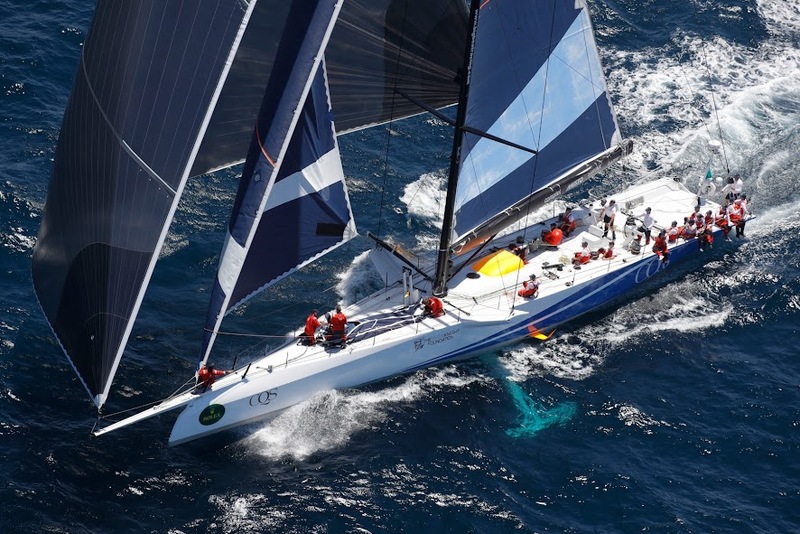 CQS ex-Nicorette III, ex-Aapt, ex-YuuZoo, ex-Tokolosh VI, has just taken part in her first Sydney Hobart race since 2010. Nicorette III was originally designed in 2004 by Alexander Simonis & Martin Voogd with a 90 foot length. 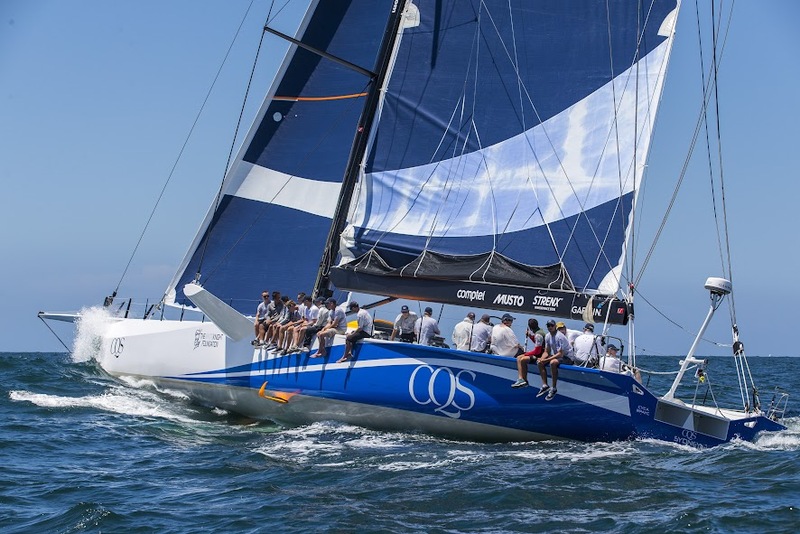 In 2016 she was redesigned and lengthened to 98 feet at the Southern Ocean Marine shipyard in Tauranga, New Zealand, under the supervision of naval architect Brett Bakewell-White. 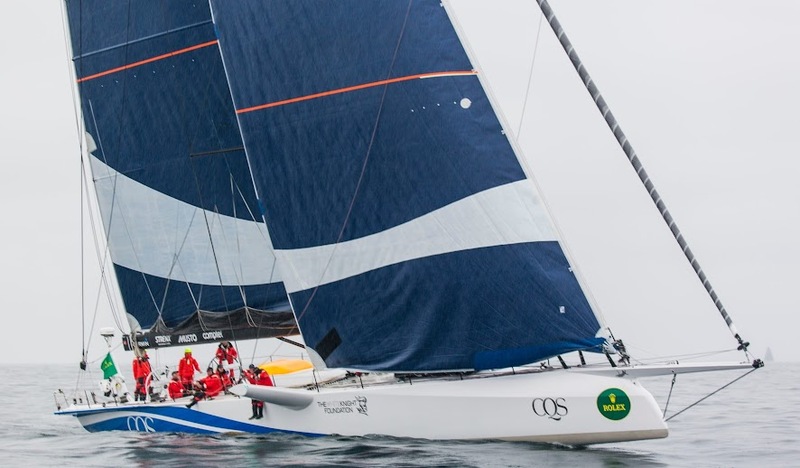 Although the original Nicorette III was already an innovator thanks to her canting keel and retractable forward canard, CQS innovates again with a few original alterations: Her reverse tumblehome bow resembles that of AC45 catamarans. Her faired shroud outriggers widen the yacht from a 4.70m beam to 7.36m. 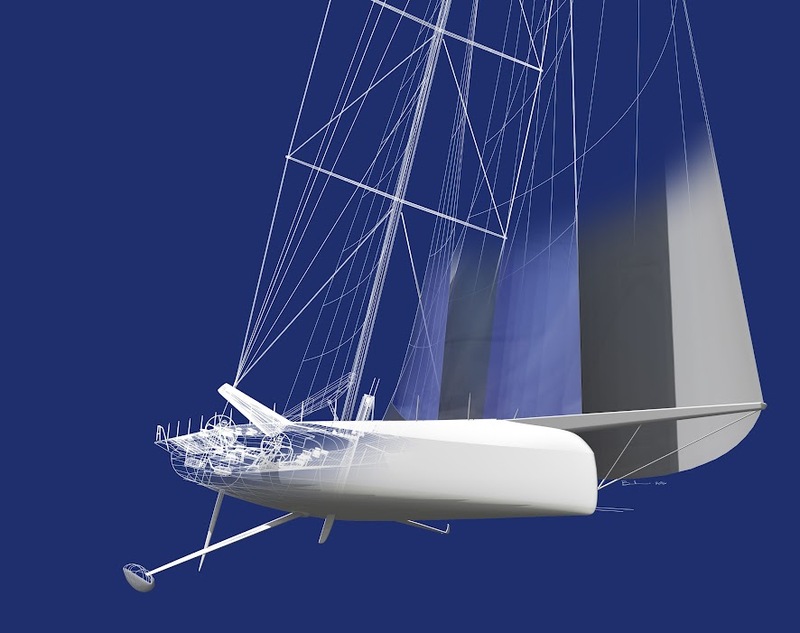 A forward centerboard and horizontal/retractable foils amidships were fitted to the yacht and the deck now features an overhanging ledge on either side of the stern, for a better righting moment when the crew is hiked. Please find detailed plans on the team's dedicated website. 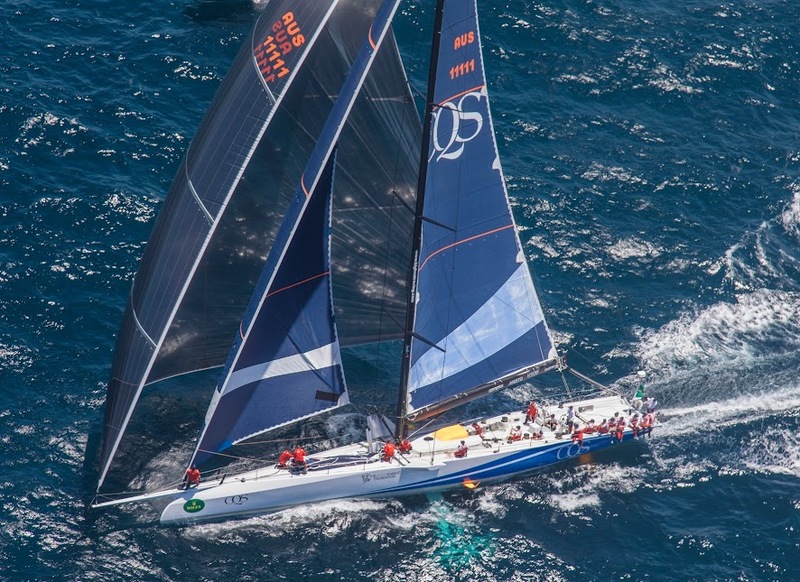 In November, CQS took line honours and set a new record in the Royal Akarana Yacht Club's Round White Island Race. 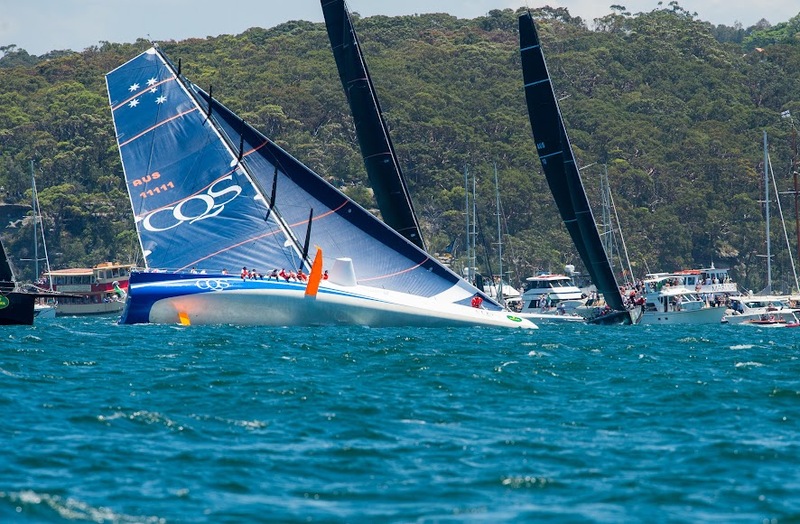 However, due to problems with hydraulics and foils already at the start line of the Sydney Hobart race, CQS only finished in seventh place, and 63rd overall, but seems determined to take part in the race next year. 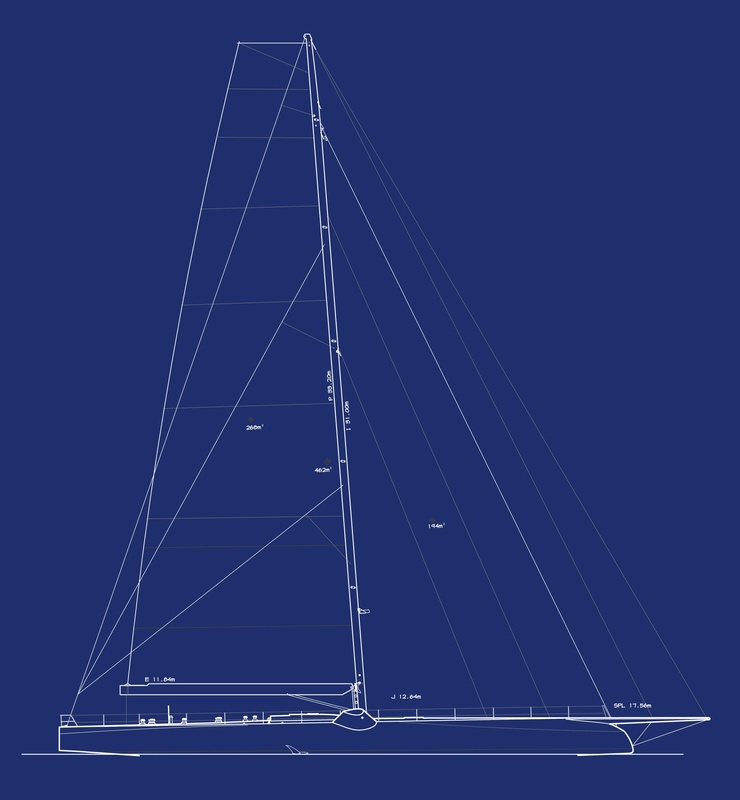 With a displacement of less than 25 metric tonnnes, the new CQS is the World's lightest 100ft IRC supermaxi; Her narrow beam makes her very slippery, especially in light airs, but the resulting form stability is not enough to right the huge sail plan that she carries, so she requires a slew of "swiss army knife" appendages to perform on water.